Lili Chin is a woman after my own heart. Her website, We All Scream, combines three of my favorite things---illustrations, ice cream, and unique flavor combinations---to create an illustrated recipe site that equally appeals to both my stomach and my eyes! Seriously, with ice creams flavors like Ginger Caramel, Strawberry Bourbon, Mexican Corn, and Sunflower Seed, how could I resist! 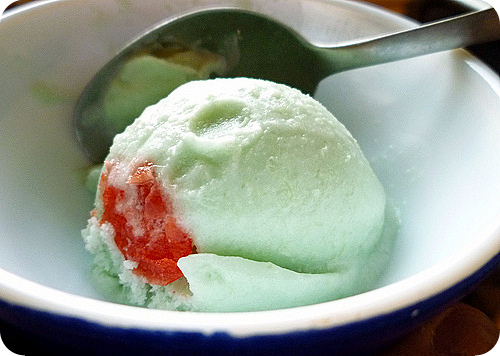 There’s even an ice cream recipe for dogs! I was in dessert/design heaven. And it doesn’t stop there. 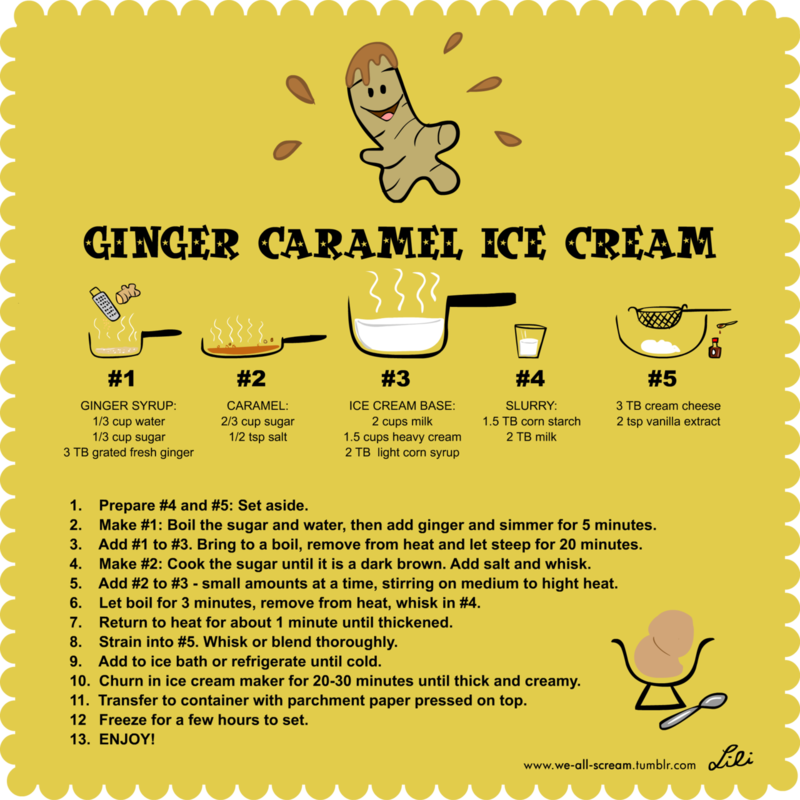 In addition to these wonderful recipes, Lili creates individual labels for her ice creams that feature her designs. How cute is that?? 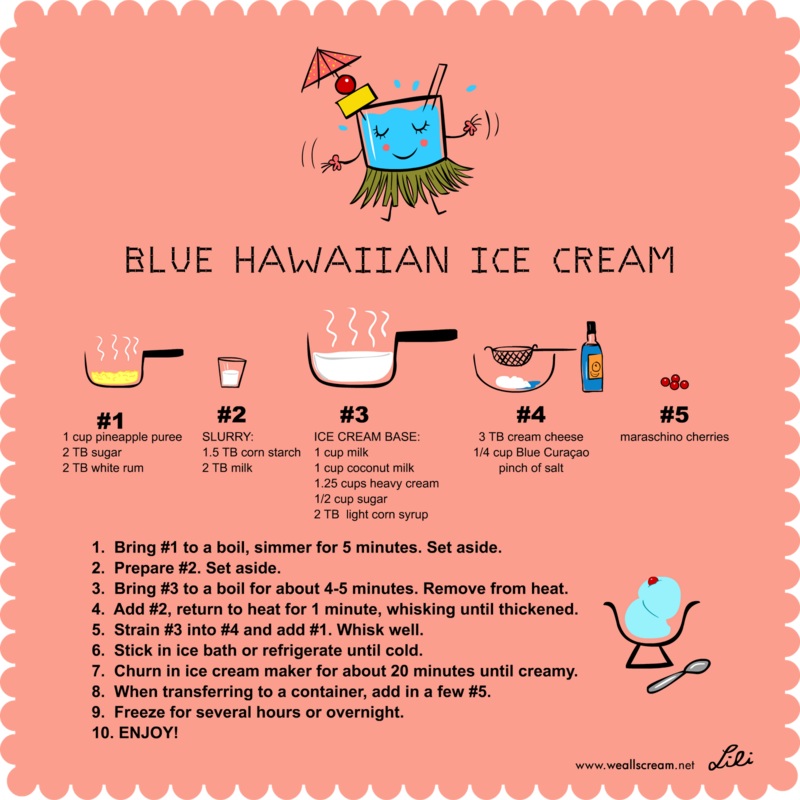 When I first laid eyes on her site, I instantly knew that I had to ask her to contribute a recipe to The Mixing Bowl and when she sent over this recipe for Blue Hawaiian ice cream, I couldn’t wait to share it will all of you. 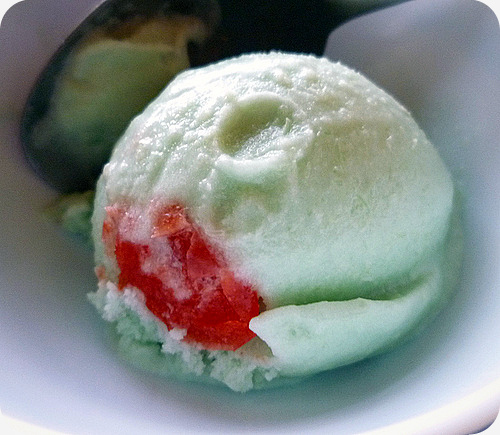 I’m a huge fan of tropical flavors (tropical lifesavers were always my favorite pack) and I can’t take my eyes of the ice cream’s lovely blue hue. Who doesn’t love blue-colored food?? Malaysian-born Lili Chin is an artist and animator based in Los Angeles. She is the co-founder of FWAK! 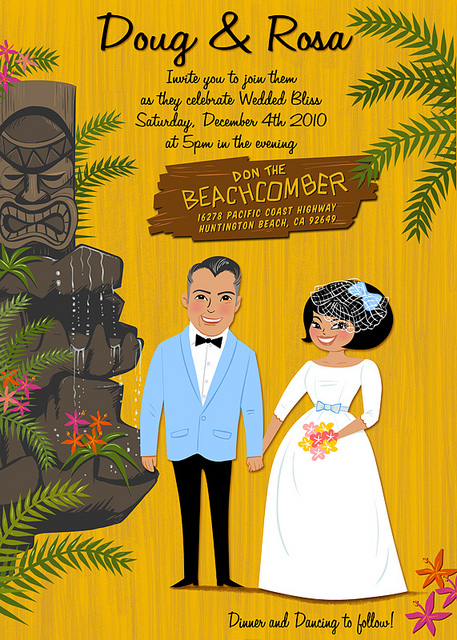 Animation, which produced its first feature-length animated film in 2006, Los Campeones de la Lucha Libre (The Champions of Wrestling). She was also the co-creator, producer and designer on Mucha Lucha, a Warner Bros' hit animated series which ran for 52 episodes on Kids WB and Cartoon Network. 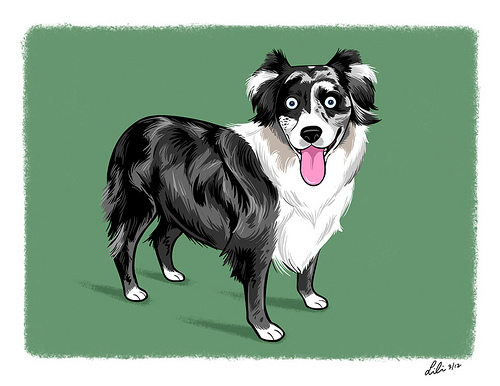 When not animating, Lili draws the cutest dog portraits over at Doggie Drawings. 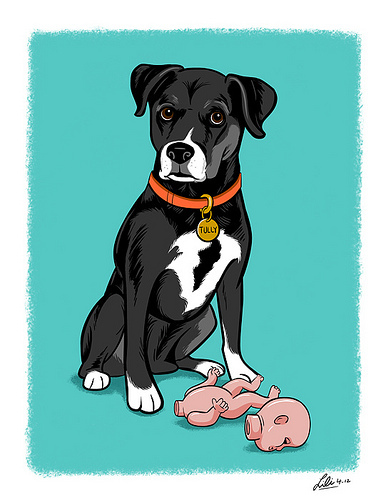 I love the retro kitsch look of her dog portraits and, as an animal lover, the idea of a getting a personalized pet painting really appeals to me! 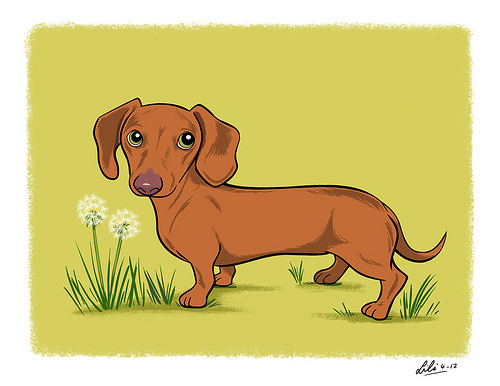 If you don’t own a dog, have no fear, she draws other animals as well. 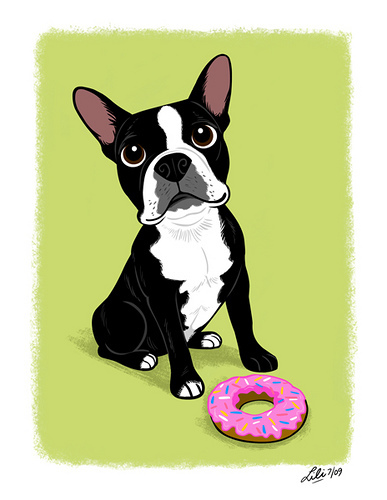 In addition, as the proud dog owner of a rescued Boston Terrier named Boogie, Lili donates a percentage of her Doggie Drawing sales to Boston Terrier/Animal rescue (woo hoo!). 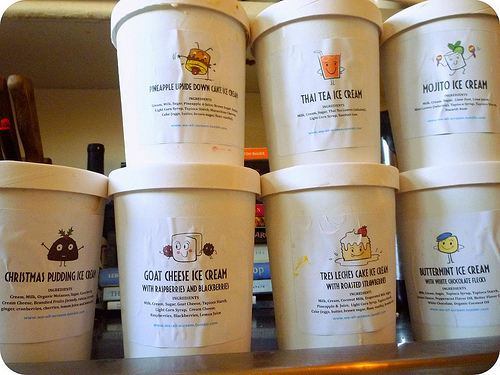 To check out Lili's ice cream site, We All Scream, click here. If you’re a fan of this site, I’m sure you’ll love it as much as I do. 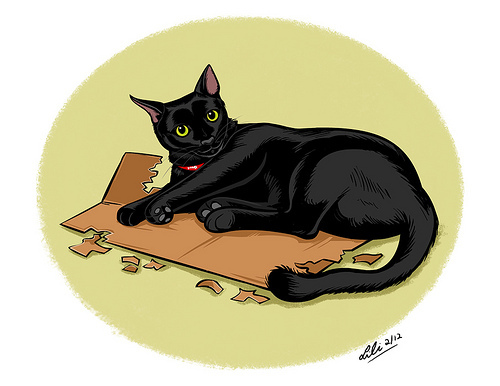 You can see more of Lili’s work via her Flickr page and on her Doggie Drawings site. Thanks, Lili! To see a larger version of the recipe, simply click on the image at the top of this post. You can also view additional images from Lili after the jump. 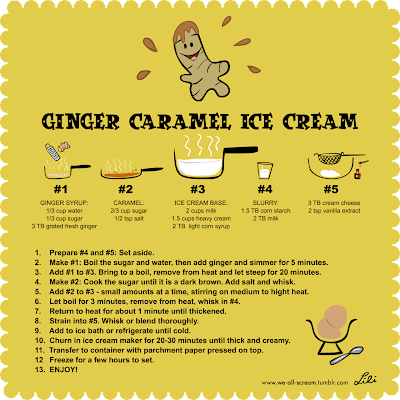 Another recipe from We All Scream. Thanks Erin! I’m bookmarking her site now! Lovely illustrations and ice cream! How fun! How adorable are those pet paintings. I love the variety of flavors...just when you think you've hit all of the combinations...here comes another lineup of interesting mixtures.